ChildAges: 7-12 years of age. Children 6 yrs and under are free. Established in 1979, Charleston Strolls offers the best historical walking tour in town. 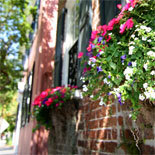 Featuring experienced guides with extensive local knowledge, Charleston Strolls showcases the city's best attractions. During the two-hour Charleston Strolls History Walk, friendly knowledgeable guides lead the tour through the beautiful streets of the Holy City. You will hear true stories and historical facts about the sites as you stroll along the cobblestone streets and back alleys. Popular attractions on the tour include the Civil War-era Battery, meticulously landscaped grounds and stunning antebellum mansions. 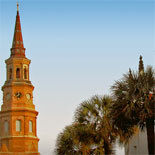 The tour also features historic churches and cemeteries where you will see the graves of several famous Charlestonians. You will have the opportunity to explore the Old Exchange Building, which served as a barracks, a dungeon and a mercantile exchange. 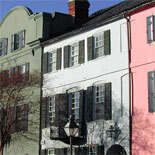 The route includes the homes on Rainbow Row, which are adorned with colonial Caribbean colors. Your knowledgeable guides have educational backgrounds in architecture and several areas of colonial and antebellum history as well as extensive experience working with groups of all ages. 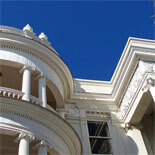 They will explain who is responsible for the restoration of Rainbow Row and how earthquake rods realign the mansions. There is something for everyone to enjoy on this tour. This is simply one of the best experiences that the city has to offer. This fascinating excursion is a must-see event for your next trip to Charleston. Obtain your eTicket today to reserve a place on the next entertaining and educational Charleston Strolls History Walk. The Charleston Strolls History Walk runs daily at 10:00 am and 2:00 pm, except Dec which only operates at 2:00 pm. 10:00 am Mills House Hotel, 115 Meeting St.
Child Ticket: 7-12 years of age. Children 6 yrs and under are free. Reservations are required at least 48 hours in advance of desired tour date. Dog friendly. Tours Depart- Rain or shine. Wear comfortable walking shoes, sunscreen, sunglasses and bring your camera and water.